You never know when you're going to come up with an idea or remember something you need to do later. So it's really important that whatever to do list you use works well on your phone, the device you most likely have near you at all times. 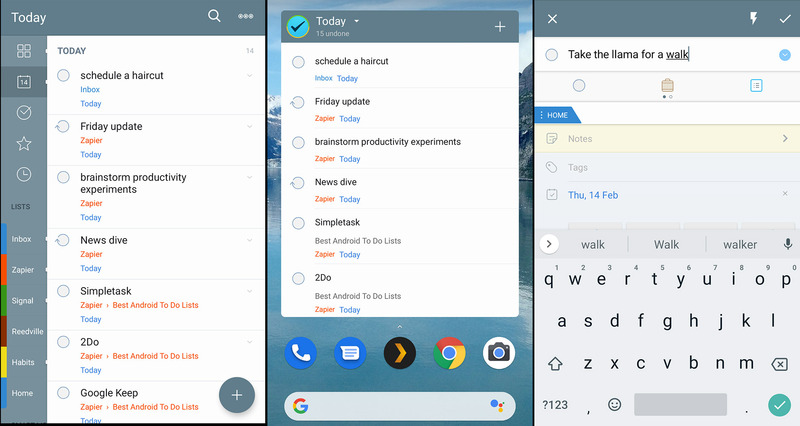 But Android doesn't come with any sort of to do list, meaning users have to find something to manage their tasks on their own. You can head to Google Play but the 300+ options get overwhelming quickly. Which one of these apps are any good? We've done the research for you; here's what we've found. 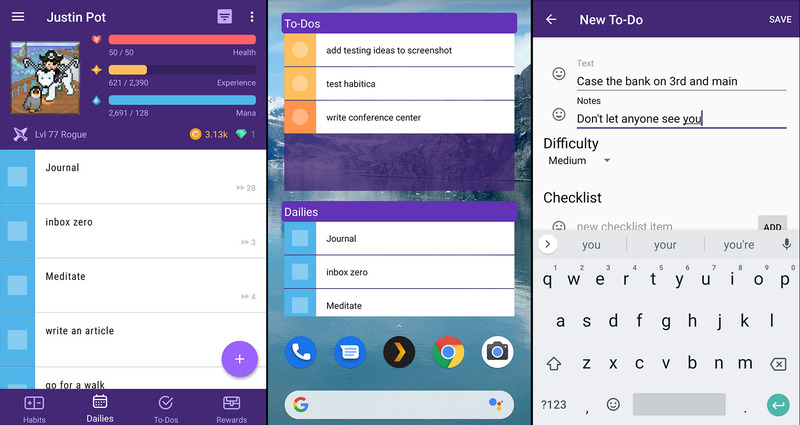 What Makes a Great Android To Do List App? Offer multiple ways to organize tasks, such as tags, lists, due dates, or projects. Make it quick to add tasks. Remind you about self-imposed deadlines. 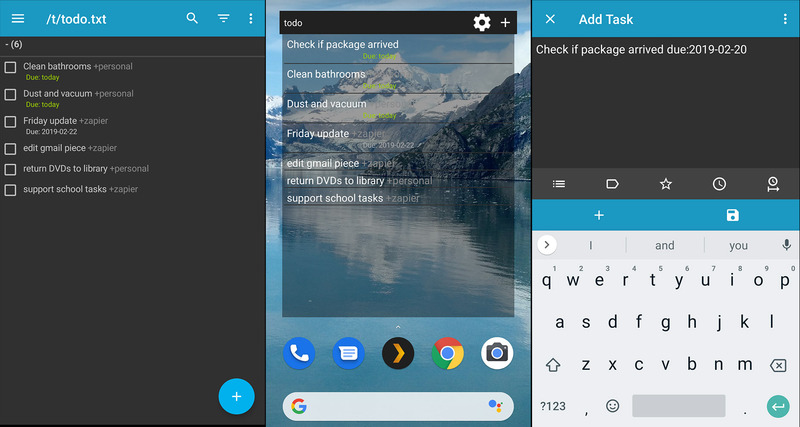 Offer a clean Android interface, with native features like notifications and widgets. Sync tasks to your other devices. We tried every highly rated application that met our criteria; here are the ones that stand out, and why. Todoist is probably the best known to do list on the market right now and with good reason. It's available for basically every platform on earth, meaning syncing to other devices is not a problem. The interface is a compromise between ease-of-use and power, meaning you can organize tasks however you like without feeling overwhelmed. And adding new tasks is quick thanks to features like date recognition—type "clean out my inbox Thursday" and a task called "clean out inbox" will be added due on the upcoming Thursday. Tasks can be organized using projects, due dates, labels, and filters. You can also integrate Todoist with other applications using Zapier, meaning you can connect your to do list with over 1,000 other apps. The Android version builds on all this while managing to feel right at home on your phone, thanks to a Material-inspired interface. A widget lets you see your tasks and quickly add new ones, from your homescreen. Optional notifications let you know when tasks are due, and you can even see a summary of today's tasks every morning if you want. All of this makes Todoist a great to do list app to try out, even if you don't quite know what you're looking for in a to do list app. Todoist price: Free; some features, including labels and attachments, require a subscription that starts at $3 a month. 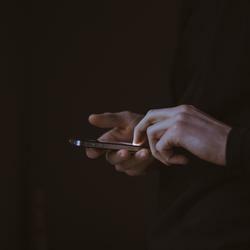 TickTick is a lesser known app, but one well worth paying attention to. The design looks spartan to start, but don't be fooled: This is a surprisingly complete app. Adding tasks is quick thanks to smart date recognition. There are numerous ways to organize your tasks including due dates, lists, and tags. And support for numerous platforms means you can sync all of this to pretty much any device you own. But TickTick also offers features not seen in other applications. There's a calendar view which can integrate with your Android calendar, allowing you to see your tasks and your appointments in one interface. There are multiple widgets offered for your homescreen: you can see any list or calendar view, then add tasks in just a couple of taps. And TickTick also comes with a built-in Pomodoro timer: Set which task you're working on and start a 25-minute session of focus. 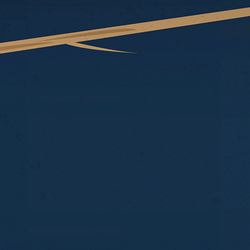 It's a powerful collection of features, and there aren't many downsides. I personally don't love the sound TickTick plays when you complete a task but quickly found a way to turn that off. That's what using TickTick is like: There are plenty of helpful features, but if you don't like something you can probably change it. To-Do is the result of Microsoft buying Wunderlist in 2015. Try it out and you'll see Wunderlist's DNA everywhere, which is to say this is a perfectly pleasant to do app. Tasks can be organized by due dates or in a list. Entering tasks is quick, and there's even a quick add notification you can pin for access from anywhere on your phone. To-Do can also remind you to plan your day in the morning. There are a few visual tweaks you can make, such as a dark mode. You can also set a theme and icon for all of your lists, which can help you keep things organized. And Microsoft To-Do integrations on Zapier means you can integrate your tasks with 1,000 other apps. But the real killer feature here is integration with Microsoft's ecosystem. 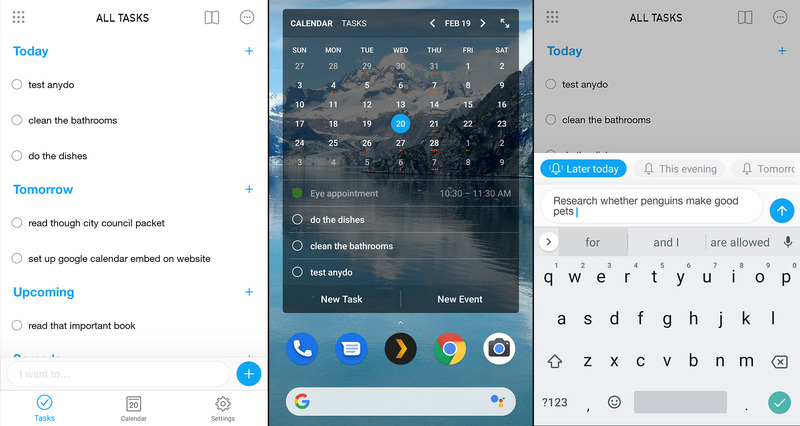 "Both Android and Windows users can add tasks to To-Do via Cortana. 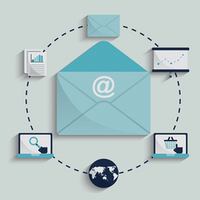 You can also sync tasks with Outlook, assuming you use the same Microsoft account for Outlook and To-Do. 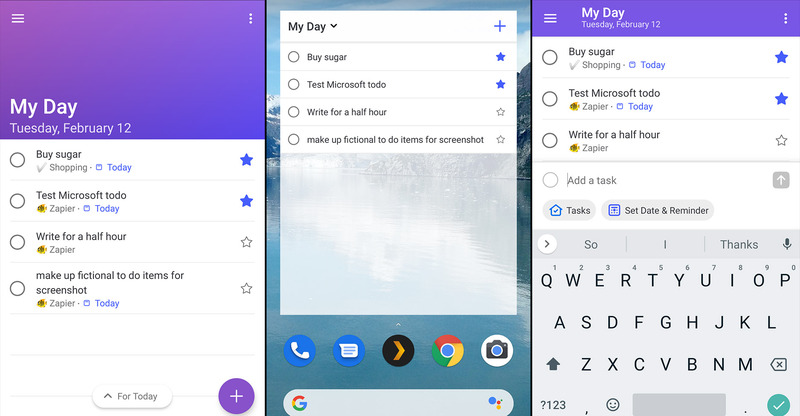 Microsoft To-Do also offers migration for Wunderlist users, which will prove essential when Microsoft shuts down Wunderlist at an undisclosed point in the future. Some Wunderlist features, such as collaboration, aren't yet offered in To-Do, so some users might want to stick with Wunderlist in the short term. Long term, however, To-Do looks like it could become a solid offering…and it's pretty great right now. The web versions of Gmail, Google Drive, and Google Calendar offer a simple to do list in the sidebar. 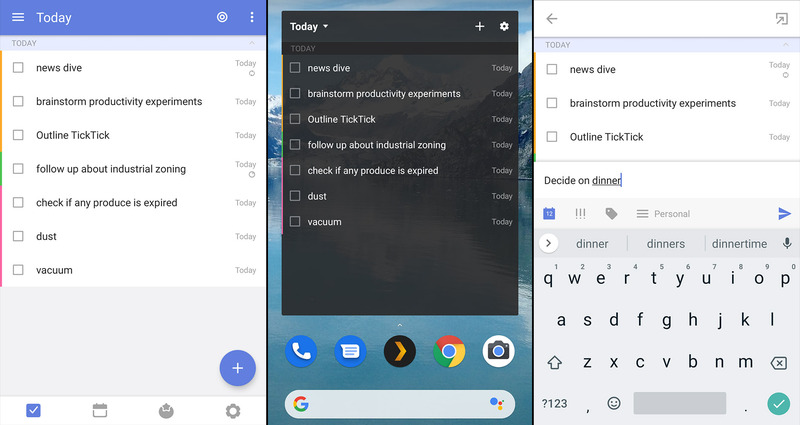 If you use that to do list on the desktop, Google Tasks is the app you're looking for on your phone. All of the tasks you add there will show up in this app. This is a very spartan app. Tasks can be organized by due date, lists, and…that's about it. There are no widgets, no pinned notifications for entering tasks, and generally not a lot of customization options. You can't even set up Google Assistant to add tasks to Google Tasks. Android is Google's operating system. 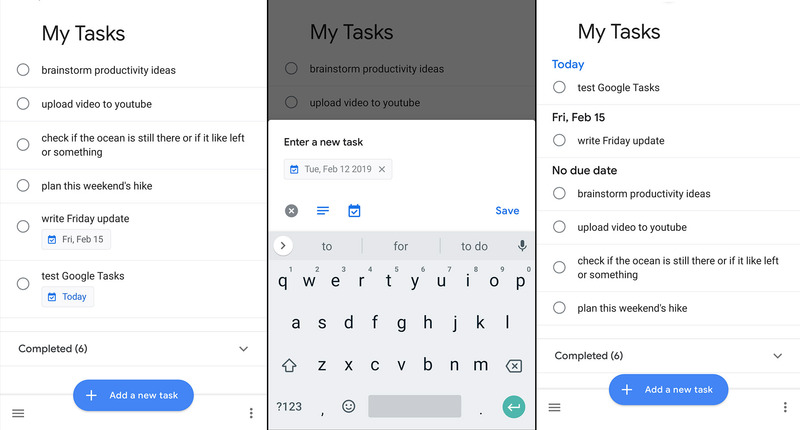 Google Tasks is a to do app from…Google. You'd think integration with Android would be better. Having said that you can get a lot of out Google Tasks with some setup. And you can use Zapier's Google Tasks integration to connect this task list with over 1,000 other apps. But the integration with Gmail's and Google Calendar's desktop sidebar alone is what makes Google Tasks worth checking out for committed Google fans (though Google Keep is arguably a better option for power users). Google Keep isn't exactly a to do app, but it also isn't exactly not one. 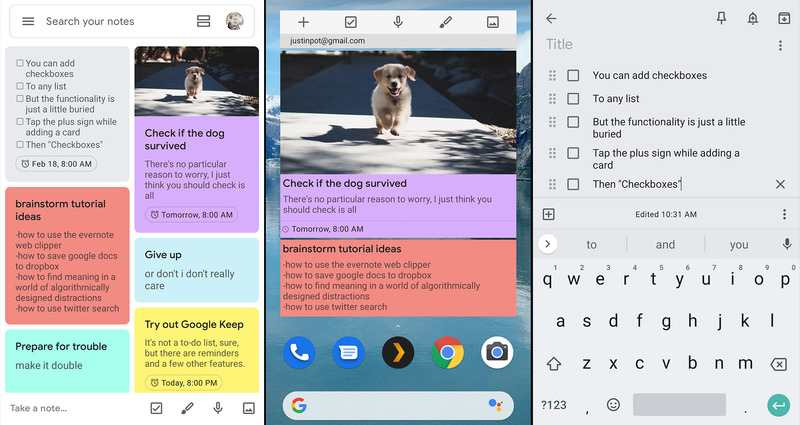 Keep, which integrates with the sidebar of Gmail and Google Calendar's web version, allows you to quickly create sticky notes. 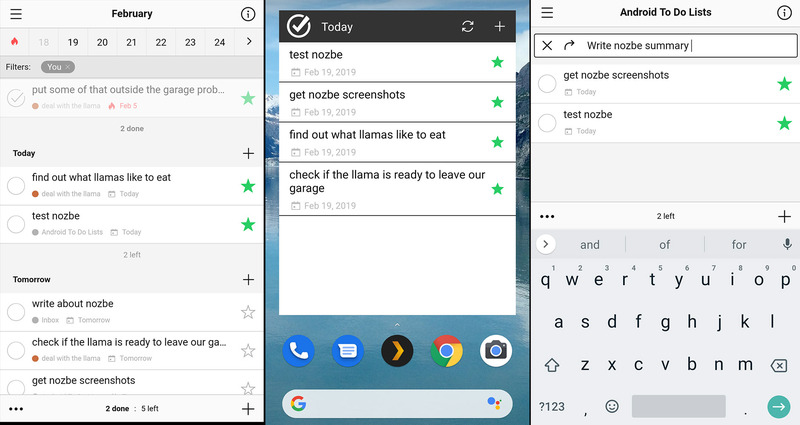 You can use this for all kinds of things, not just task management, but a few features make this the best Android task management app offered by Google. First of all you can add a reminder date to any note, which means you can effectively set due dates for tasks and projects. 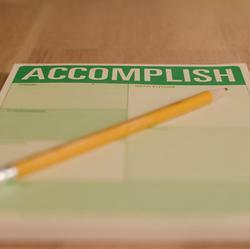 Second, you can add a checklist to any note, allowing you to check off multiple steps in a project. Third, you can see these tasks on your home screen and quickly add new ones, thanks to a couple of widgets. It's somewhat improvised as a to do list, sure, but in many ways, it works better than Google's own Tasks. Plus you can quickly add photos and other attachments, which makes Keep useful as a reference. If Google Tasks doesn't quite cut it for you, but you don't want to give up on integration with Google services, Keep is well worth a look. If you're particular about how your tasks are organized or care about productivity systems like "GTD," 2Do is what you're looking for. This app lets you organize your tasks however you like: Lists, projects, sub-tasks, due dates, tags, and even custom smart lists are all offered. If you have a system in mind, 2Do can probably accommodate you. The Android version is well thought out, even if the interface doesn't quite feel native. A highly customizable widget means you can see your tasks on your homescreen; an optional pinned notification lets you quickly add tasks. The options allow you to fine tune almost every aspect of how the app works, making this an ideal choice for power users. Syncing is unique here because there are multiple options. You can sync to the iPhone or macOS version of 2Do using iCloud, Dropbox, Yahoo Calendar, Fruux, Toodledo, or any CalDAV server. The iCloud integration is interesting for any macOS or iPhone user who wants to sync Reminders with Android—this is the easiest tool for that I've found. There's no Windows version of 2Do as of this writing, which is a downside, though one is on the way according to the developer. 2Do for Android price: Free. The Pro version, which is necessary for syncing, costs $10 after a two-week free trial. Games are fantastic at motivating mundane activity—how else can you explain all that time you've spent on mindless fetch quests? Habitica, formerly called HabitRGP, tries to harness the motivational power of games for good. Users add habits, daily tasks, and to dos to a list. Accomplishing these tasks and building good habits levels up your character and does damage to bosses. It also gives you in-game currency which you can spend on cool virtual items, such as costumes and profile backgrounds. A delightful array of pixel art really sells this whole system, which can make accomplishing things downright addictive. You can also join a party of your friends and fight monsters together. This adds a social dynamic to the motivation, because your friends’ characters might die if you don’t get things done. 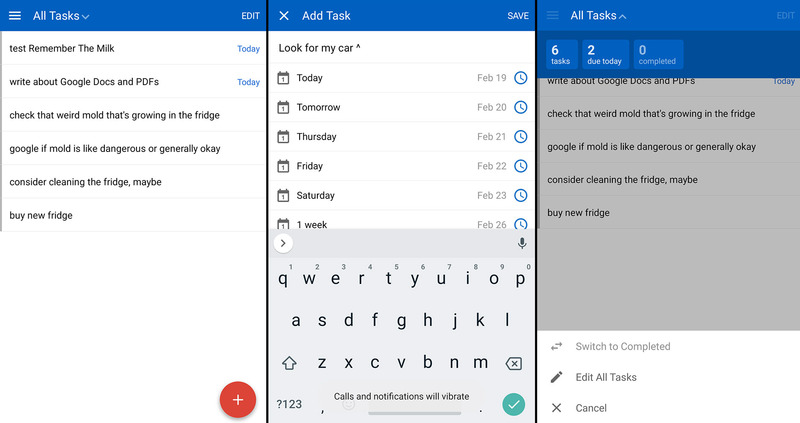 The Android app makes it easy to track your tasks on the go. Notifications remind you about your due dates and things like quests. A widget lets you track your tasks and your character's HP from the home screen. The downside: it's hard to use Habitica to manage projects. 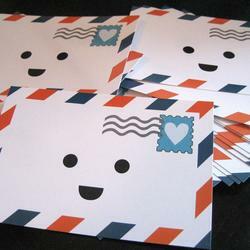 The to do list is very simple, and the game is designed to motivate you to clear out quickly. There's no way to separate tasks by project, and there aren't any smart lists. If you use Habitica, you'll likely need to use another tool for long-term planning. Still, Habitica offers a unique way to motivate you to get things done, and the community is one of the friendliest places on the entire internet. Give it a shot if you want something unique. Habitica Price Free. A $5 per month subscription unlocks features like task histories and exclusive in-game items. There's no reason for to do lists to be complicated—pen and paper work fine for the job, after all. Simpletask uses an old fashioned .txt file to manage your tasks. This is based on Todo.txt, a text-based system for managing your tasks. To summarize: every line in the document is a single task. You can add +projects, @locations, and due dates to each line and set a priority level by beginning a line with a capital letter in brackets. The screenshot above gets some of this across. Simpletask makes this system manageable on your phone, which is quite the accomplishment. 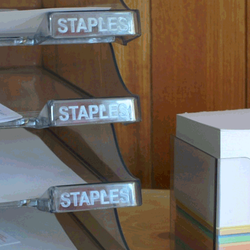 Advanced filtering lets you organize your tasks however you like. A very customizable widget allows you to browse your task from the homescreen. And syncing via Dropbox means you can access your tasks on any other system using a text editor or dedicated apps for those platforms. If you want to try something completely different that outputs to a text file you can edit directly, Simpletask is what you want. Any.do is, in a word, slick. The user interface is very clean. The application offers to manage both your calendar and your to do list, and adding tasks and appointments is quick. 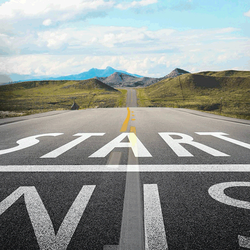 There are a number of helpful automations offered; for example, Any.do can optionally help you plan your day. This means that, every morning, the app will go over your tasks due today and help you schedule when to do them. There are also all sorts of integrations with your phone as a whole. 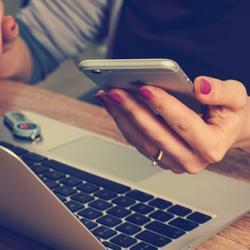 The app can spot your missed phone calls, for example, and remind you to follow up on them. The app can also pull in appointments from the default Google calendar, allowing you to see your tasks and your schedule all in one place. This also helps with planning your day. There's a system-wide notification you can enable to see which task to work on next and quickly add new tasks. There's also a beautiful widget, with calendar and task views, offered in both light and dark shades. If other to do lists just don't work for you, Any.do could very well be the one that does. Any.do price: Free. The premium version, which offers color coding, location-based reminders, and recurring tasks, costs $2.99 per month. Remember The Milk has been around so long that it's easy to forget about—but forgetting about it would be a mistake. This remains a very powerful to do application on the web, and the Android application brings that power to your phone. The deceptively simple user interface allows you to organize your tasks using lists, due dates, tags, geotags, and custom smart lists. The collaboration features make it easy to coordinate with other users. And adding new tasks is quick thanks to date, list, and tag recognition. Zapier's Remember The Milk integrations means you can connect your to do list with over 1000 apps. The Android app syncs with the web version of Remember the Milk, obviously, but can also potentially sync with Microsoft Outlook, meaning you've got options. Remember The Milk also offers features like reminders and widgets, though only to Pro users. Remember The Milk is a flexible to do system that's really quick to use, so give it a shot if you find other options bloated or lacking in the customization department. Remember The Milk Price: Free, but some features including subtasks, reminders, and widgets require a $39.99 per year Pro subscription. Nozbe for Android's interface offers pretty much everything that the web version does. You can swipe right to complete a task and left to set the time needed for the project; you can also customize what this swiping does in the settings. There's an optional dark mode, perfect if you find bright white annoying. 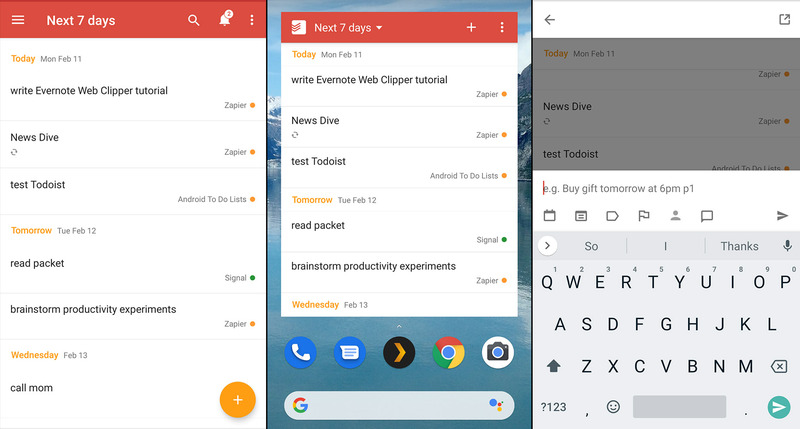 Optional widgets let you see your tasks from your homescreen or quickly add a new task. There's also an optional pinned notification for quickly adding tasks. Overall Nozbe is well worth checking out for teams who need to co-manage projects. Nozbe price: Subscriptions start at $8 a month, and there's 30-day free trial. Trello isn't a to do list per se but you can use it to organize your life and there's an Android app. Google Assistant can keep track of basic to dos: just say "Note to self" or "Make a note" to get started. 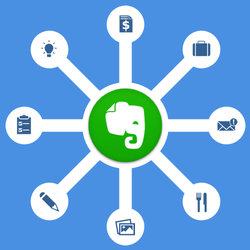 Evernote, OneNote, or any other note taking application can work very well as a to do list, and most offer an Android app. Wunderlist used to be a no-brainer for lists like this, and it is still quite nice. The problem: Microsoft bought Wunderlist and is shutting it down at an undetermined point in the future, making it hard to recommend. The intended replacement, Microsoft To-Do, is outlined above. It offers migration tools, so you could use Wunderlist for now and migrate later, when Microsoft forces you to.